PLANT, WATER, HARVEST... SOW the SEEDS of SUCCESS! JOIN US for the 6TH CHAPTER in ADA'S AMAZING STORY, and HEAD OUT to the FARM! ada: tomorrow I get to go visit dad's farm... i can't wait! ada: dad! how's the farm? can I help out? dad (to himself): so glad to have my ada back... she'll know how to fix things around here! 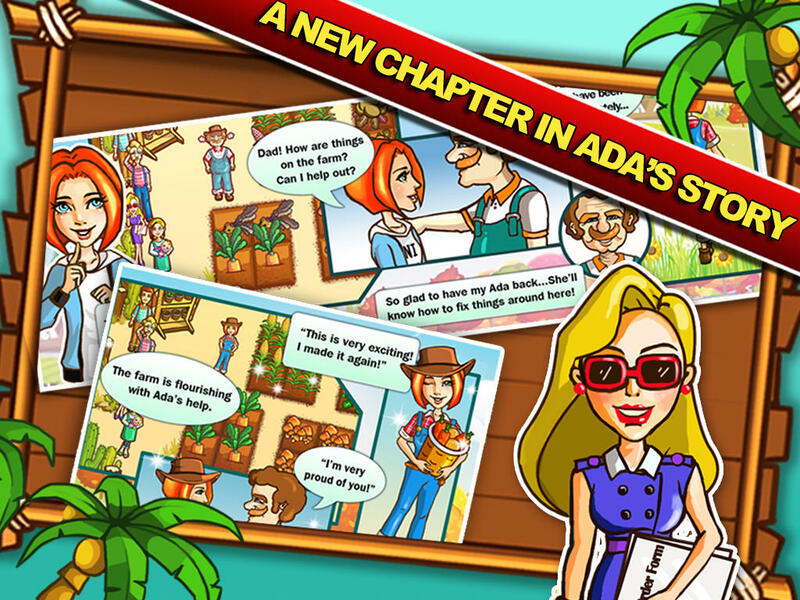 • JOIN ADA on the farm for EXCITING TIME-MANAGEMENT GAMEPLAY! • EACH UNIQUE CROP has SPECIAL FEATURES and FIXED GROWTH TIMES! • UPGRADE your FIELDS and grow up to 20 CROPS at TIME!